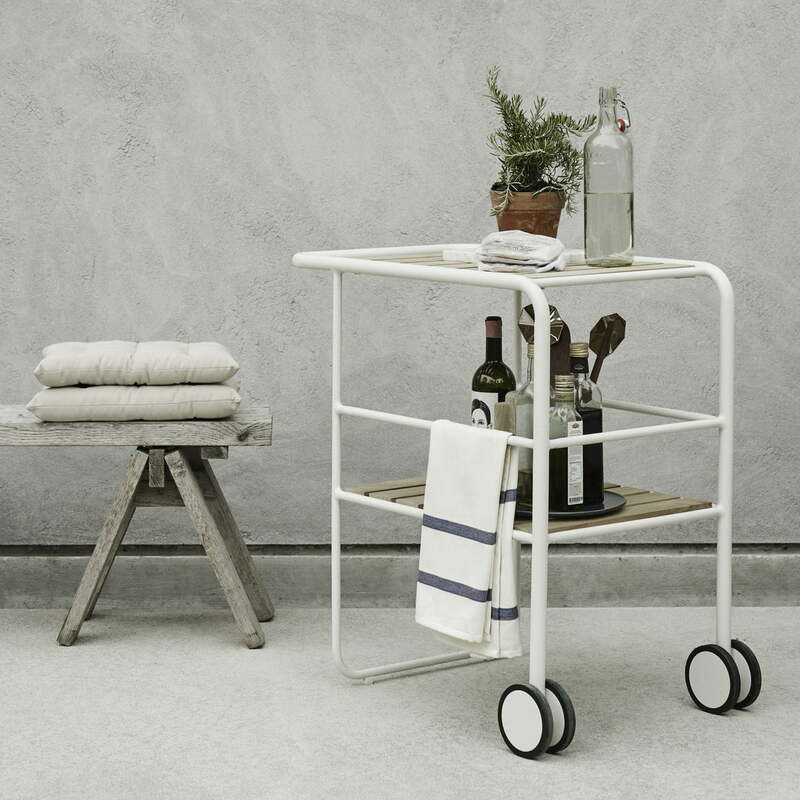 The Fuori trolley with wheels by Skagerak was designed by Monique Consentino. 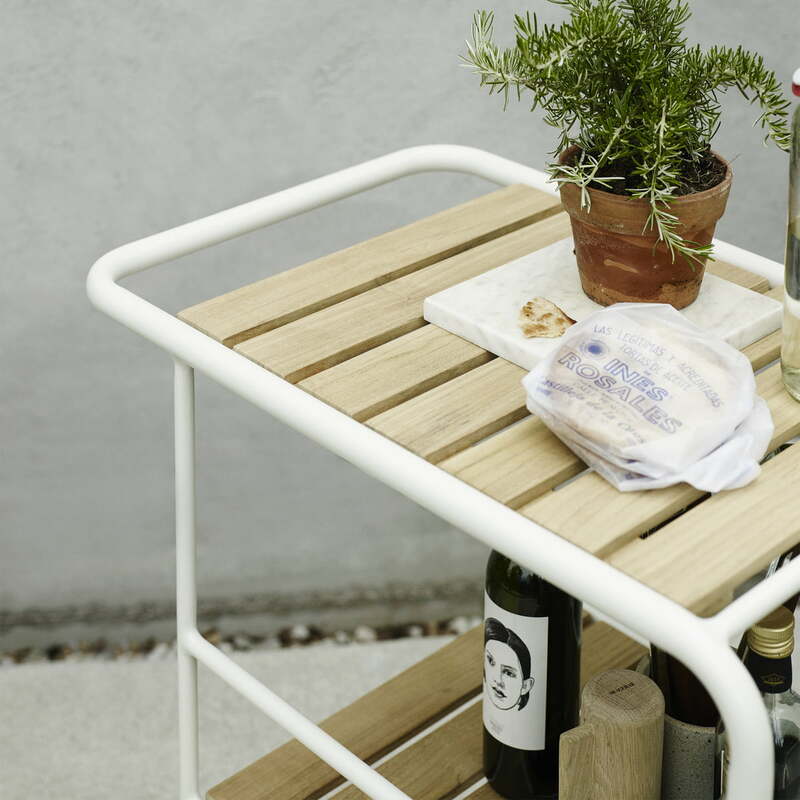 Made out of teak wood and powder-coated steel, it is ideal for outdoor use. It has two shelves, on which there is enough space for beverages, plants, grilled goods, etc. Thanks to its two wheels, the trolley can be flexibly placed. 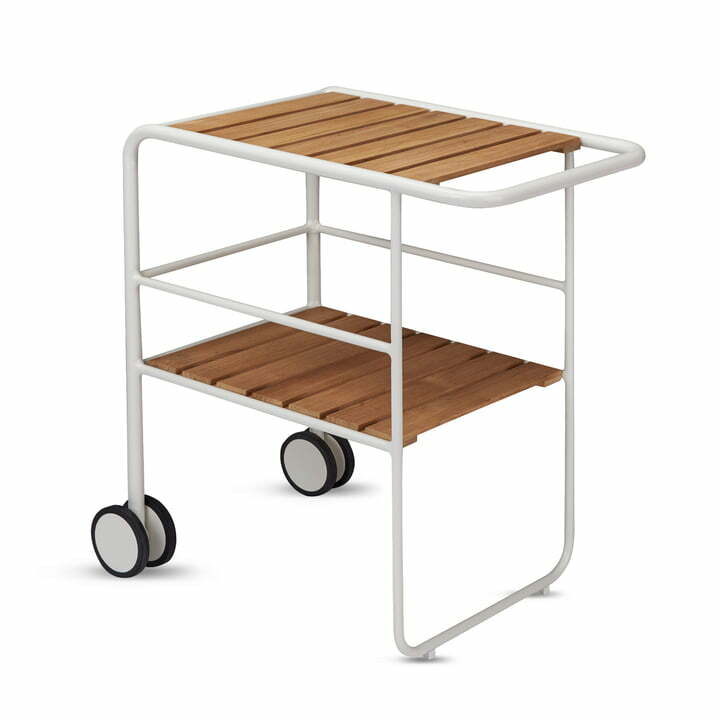 With time, the teak will develop a silver-grey patina that will give each trolley a unique expression. The Fuori collection consists of furniture and accessories for outdoor use, that combines elegant design with functional industrialism. It convinces both with its appearance as well as with its properties to withstand the outdoors. Fuori is the Italian word for “outside”. The Fuori trolley with wheels by Skagerak was designed by Monique Consentino. Made out of teak wood and powder-coated steel, it is ideal for outdoor use. It has two shelves, on which there is enough space for beverages, plants, grilled goods, etc. Thanks to his two wheels, the trolley can be flexibly placed.